I. Chọn từ có phần gạch chân được phát âm khác so với các từ còn lại. II. Chọn từ có trọng âm chính rơi vào vị trí khác so với các từ còn lại. 1. The doctor advised him (get up)…………………early. 2. The students (play)…………………with the ball in the schoolyard now. 3. She didn’t use to (work)………………………hard. 4. Mary (visit)……………………Ha Long Bay last week. 5. Nga (not prepare)…………………….her lessons yet. 6. He (watch)……………………….television when the telephone rang. 7. English (speak)…………………………all over the world. 8. Unless she (study)……………………………..hard, she won’t pass the exam. I. Chọn từ thích hợp trong ô dưới đây điền vào mỗi chỗ trống để hoàn thành đoạn văn. Maysia is one of the (1)……of the Association of South-East Asia Nations (ASEAN). It is divided into two regions, (2)……as West Malaysia and East Malaysia. They are separated by about 640 km of the sea and together comprise an area of 329,758 sq km. Malaysia enjoys (3)……climate. The Malaysian unit of currency is the ringgit. The capital of Malaysia is Kuala Lumpur and it is also the (4)……city of the country. The (5)……in 2001 was over 22 million. Islam is the country’s official religion. In addition, there are other religions such as Buddhism (6)……Hinduism. The national language is Bahasa Malaysia (also known simply as Malay). English, Chinese, and Tamil are also widely spoken. II. Đọc đoạn văn và trả lời các câu hỏi. If you are invited to someone’s house for dinner in the United States, you should bring a gift, such as a bunch of flowers or a box of chocolates. If you give your host a wrapped gift, he/she may open it in front of you. Opening a present in front of the gift-giver is considered polite. It shows the host is excited about receiving the gift and wants to show his/her appreciation to you immediately. Even if the host doesn’t like it, he/she will tell a “white-lie” and say how much they like the gift to prevent the guest from feeling bad. If your host asks you to arrive at a particular time, you should not arrive exactly on time or earlier than the expected time, because this is considered to be potentially inconvenient and therefore rude, as the host may not be ready. 1. What should you bring when invited to someone’s house for dinner in the United States? 2. Is opening a present in front of the gift-giver considered polite? 3. Why is it considered polite when opening a present in front of the gift-giver? 4. What should the host do if he/she does not like the gift? I. Chọn từ hoặc cụm từ gạch chân (A, B, C hoặc D) được sử dụng chưa đúng. 1. The woman whom helped you this morning is my teacher. 2. It was not easy for us getting tickets for the concert. II. Viết lại các câu sau sao cho nghĩa không thay đổi so với câu ban đầu, bắt đầu bằng từ gợi ý. 1. 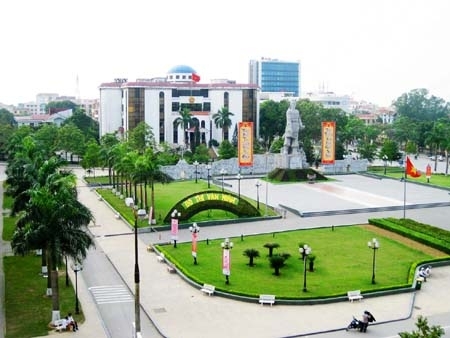 “I come from Thanh Hoa,” Mr. Ba said. -> Mr. Ba said that………………………………………………………………………………………..
2. We don’t have a big house. 3. It was too cold for us to go swimming. 4. It’s very wonderful to spend a week in the countryside. 5. In spite of having little money, they are very happy. III. Sắp xếp các từ, cụm từ thành câu hoàn chỉnh. 2. she / cook / sister / to / Your / how / does / know / doesn’t /,/? I. Chọn từ có phần gạch chân được phát âm khác với các từ còn lại. I. Cho dạng đúng của động từ trong ngoặc để hoàn thành các câu sau. 1. We should bring a gift, such as a bunch of flowers or a box of chocolates. 3. Because it shows the host is excited about receiving the gift and wants to show his/her appreciation to you immediately. 4. He/ She should tell a “white-lie” and say how much they like the gift to prevent the guest from feeling bad. I.Chọn từ hoặc cụm từ gạch chân (A, B, C hoặc D) được sử dụng chưa đúng. 1. Mr. Ba said that he came from Thanh Hoa. 2. We wish we had [or We wish to have] a big house. 3. It was not warm enough for us to go swimming. 4. Spending a week in the countryside is very wonderful. 5. Although they have little money, they are very happy. 1. I drive more carefully than my brother. 2. Your sister doesn’t know how to cook, does she? 3. Everyone was in a good mood because they had finished the course.